Boris Choy received his PhD in Statistics from Imperial College London, MPhil in Statistics from the Chinese University of Hong Kong and BSc. (First Class Honours) in Mathematics from the University of Leeds. Boris Choy's main research interests focus on robust statistical analysis of financial time series data and insurance data using heavy-tailed distributions via Bayesian computational methods and scale mixtures density representation. In financial applications, he is working on GARCH and stochastic volatility models. In insurance applications, he focuses on accurate calculation of premiums and prediction of loss reserve. His research interests also include option pricing, statistical consultation, survival analysis in finance, accounting and medicine, etc. 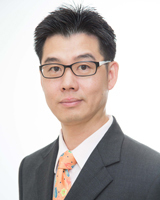 Boris Choy published his papers in the Journal of Royal Statistical Society, Series B, ASTIN Bulletin, etc. He was awarded the status of Chartered Statistician (CStat) by the Royal Statistical Society (UK) in 2002 and he is an Elected Member of the International Statistical Institute (ISI). Boris Choy received a Discipline Teaching Excellent Award in 2010, an inaugural University of Sydney Business School Students’ Choice Award for Teaching in 2013, the Wayne Lonergan Outstanding Teaching Award in 2015, an inaugural Vice-Chancellor’s Award for Outstanding Teaching in 2016 and a number of Dean’s Citation for Teaching awards. Wichitaksorn N, and Choy S (2012) Modeling Dependence of Seemingly Unrelated Tobit Model through Copula: A Bayesian Analysis 4th International Conference of the Thailand Econometrics Society; Chiang Mai University, Chiang Mai, Thailand. Choy S (2011) Comparison of Different Heavy-tailed Stochastic Volatility Models for Financial Data in Thailand The 3rd Conference of the Thailand Econometrics Society; Chiang Mai University Press, Thailand. Choy S, and Wichitaskorn N (2011) Contribution to the discussion of “Bayesian variable selection for random intercept modelling of Gaussian and non-Gaussian data�? by Frühwirth-Schnatter, S. & Wagner H Bayesian Statistics 9; Oxford University Press, Oxford, United Kingdom, 189-191. Choy S, Chan J, and Makov U (2009) Model selection for loss reserves: The growing triangle technique Risk, Life and Pensions, 5, 35-40. Chan J, and Choy S (2008) Analysis of covariance structures in time series Journal of Data Science, 6 (4), 573-589. Chan J, Lam C, Chen C, and Choy S (2008) Threshold geometric process model for financial time series Joint Meeting of 4th World Conference of the IASC and 6th Conference of the Asian Regional Section of the IASC on Computational Statistics & Data Analysis, Yokohama. Choy S, and Chan J (2008) Bayesian analysis of stochastic of volatilities using the generalized-t distribution Joint Meeting of 4th World Conference of the IASC and 6th Conference of the Asian Regional Section of the IASC on Computational Statistics & Data Analysis, Yokohama. Loh A, Chan C, and Choy S (2008) Using Statistical Modeling to Detect Signal in the Presence of Background Noises in the Scope of Building Services Engineering - A Review Joint Symposium 2008 Shaping Our Future Environment, the role of Building Services Professionals; Hong Kong Polytechnic University, Hong Kong. Choy S, Wan W, and Chan C (2008) Bayesian student-t stochastic volatility models via scale mixtures Bayesian Econometrics (Advances in Econometrics volume 23); JAI Press, Bingley, UK, 595-618. Strudwick M, McMahon K, and Choy S (2007) Rapid response of autonomic nervous system to acupuncture in subject under stress Australian Journal of Acupuncture and Chinese Medicine, 2 (1), 9-15. Choy S, Chan J, and Yam C (2003) Robust analysis of salamander data, Generalized Linear model with random effects 7th Valencia International Meeting on Bayesian Statistics; Oxford University Press, New York. Analysis of Australian telemetric data; External Engagement Accelerator Scheme. Pro-environmental Behaviour: Effects on Sustainability and Pollution Mitigation Strategies in the Philippines; SSEAC Collaborative Research Grant.